Walk into any school and you will find the counselor, actively engaged in providing a multitude of services to students. 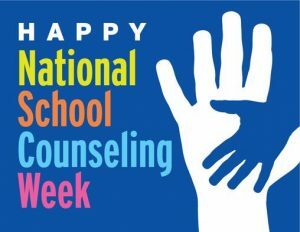 The Knox County Public Schools join other school systems across the nation to focus public attention on the unique contribution of professional school counselors and how students show growth as a result of what school counselors do. National School Counseling Week highlights the tremendous impact school counselors have in helping students achieve school success and plan for their future. Conflict resolution, schedule changes, state testing, accommodations for students, mentor, transcripts, college applications, college scholarships, summer camps, and mental health. The list is long and the hats are many that counselors wear in each school. Counselors are the go-to person in the building for helping students to examine their abilities, strengths, interests and talents; for working in a partnership with parents as they encounter the challenges of raising children in today’s world; for focusing on positive ways to enhance students’ social/personal, educational and career development; and working with teachers and other educators to provide an educational system where students can realize their potential and set healthy, realistic and optimistic aspirations for themselves. School counselors are professionals in their field, certified, experienced educators with a master’s degree in guidance and counseling. The combination of their training and experience makes them an integral part of the total educational program.